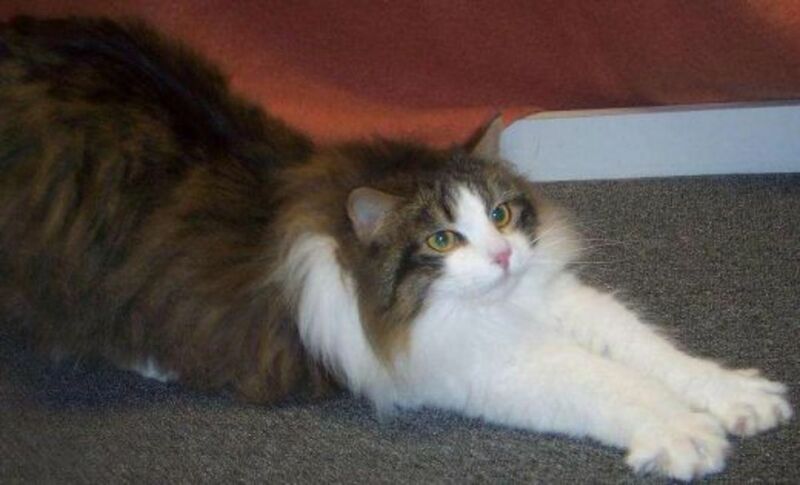 Knowing how to keep your cat happy and healthy is vital for all cat lovers. Whether you buy cats or rehome them, you will know it isn't always plain sailing to keep your cat healthy and happy. If people have a problem with their cats, they may easily find help and advice, or they can just enjoy browsing through all the lenses here. Here you can also see links to cat themed gifts, gifts for cats - and some special cat poetry that I wrote myself. All about cats is obviously all about cats, my love for cats, and the part cats play in my life. It is place where cat lovers can share their pages, and it is a resource for all those who are living with cats too! I want to keep my cats healthy and happy and so do you. All about cats is a first call for people with problems or cats with problem people. Plexo modules make it fun, because you can vote for the lenses you most enjoy and add your own too. I know this lens will be fantastic, because cats make us do our best don't they? Please add your cat links to the plexos and I hope that between us all we will everyone purr! 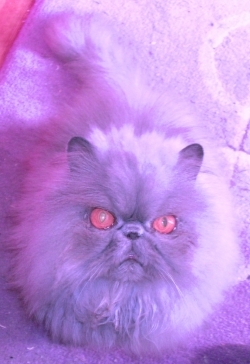 Intro image is Study in Lilac, my own photo of Dolcie. Please do not copy! You want to do the best for your cats because they are family. Whereas our dogs tend to be our companions, cats work their way into the place in our hearts that some reserve for children. cats, domestic and feral, are intelligent hunters. Outside they may be fierce predators, but inside the home they revert to kittenhood and regard us as big mother cats! 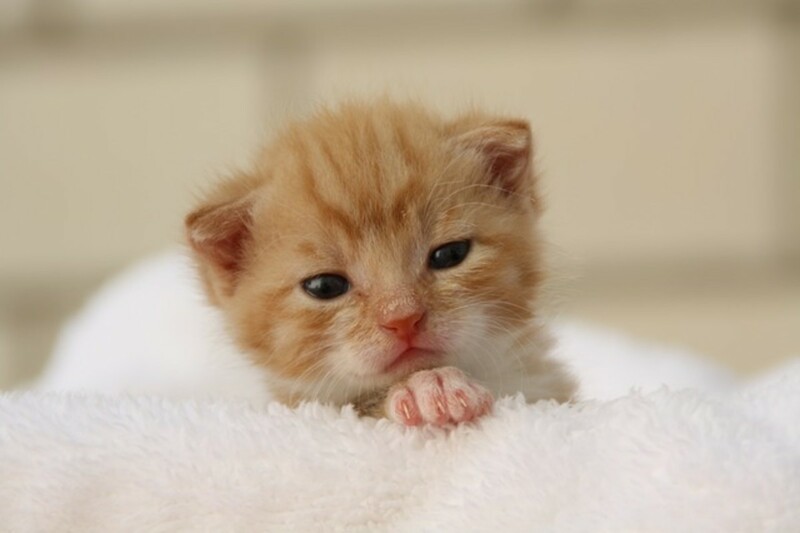 Whether it is their dependence on us - as is the case with vulnerable breeds like Persians - or their big innocent eyes - they will always be kittens indoors. Ragdoll cat breeders select for that kittenish behaviour and trust, producing a sweet natured cat that flops when cuddled. Big innocent kitten eyes feature in this card. What could be sweeter than "All Things Warm and Fuzzy"? 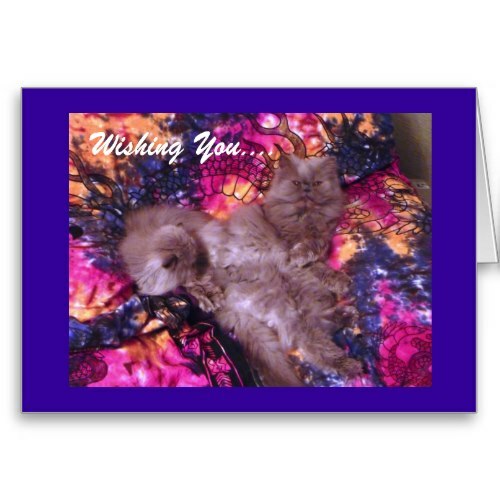 This card features a rough and tumble of blue Persians relaxing on a vivid dragon throw in warm glowing colours! An adorable rendition of Silent Night! We are crazy about our pets, and sometimes a cat themed gift is the best thing ever for birthdays or Christmas. Bounce around the Christmas Tree with Jingle Maria, or enjoy something a little more sedate, perhaps? I hope you enjoy it anyway. The Jingle Cats Album - A Cat Lover's Delight! .... your cats have potty issues and you do you best to solve them in a KIND way. This is the darker side of cat owning, and not many people can handle it. However, bear in mind we have imposed an unnatural way of life on our pets and "behaviour problems" are created and compounded by humans who do not understand the reasons for cat spraying, middening or urinating inappropriately. My three have different attitudes to this whole bodily fluid thing. One girl marks territory, the other girl confuses newspapers with cat litter (easily solved, put one in the box and never leave any on the floor!) but the boy is so well-behaved and fastidious he even goes to the litter box when he throws up! If you have a problem, please do not punish your cat, read this instead. Patience can and DOES work with these intelligent and sensitive creatures. My Resource for those difficult potty problems in cats. She doesn't mean to be a bad kitty, she is just confused or upset. How can you get your nervous cat to use the box? World's Best corn based clumping cat litter, it is clean, lightweight and completely flushable. Did It Make You Purr Then? - Please leave a pawmark here! I adore that litter box and of course the Jingle Cats CD is so fun to listen to. I added my Scarlett O'Hairy lens here. I also am a cat lover. I currently have 7 cats. What would we do without them? Looks like cat information central. Nice lens. Prrr. Yes! I love cats, although I don't have one now-it wouldn't be fair to them as I travel with my pptography quite a lot. My last one was part siamese and 'talked' to me. Sadly she died when she was only eight. Lovel to meet yours, though. Thankyou. Ah, this is definitely worth salvaging. You have an original twist on your cat lens. I am going to lensroll this to some of my cat lenses. Then I will have to return to visit more lenses that others have added. Thanks for having the plexos! I have a cat poem on my poetry lens. Not sure if you'd be interested in seeing it. It's just one amongst others and it was originally meant as a political statement, but it does feature a cat, and it's a narrative of something that actually happened to me. Come to think of it, two of my narrative poems feature cats. I don't have any kitties at the moment - I've got a contingent of canines who aren't very cat-friendly, but I enjoyed your lens about all of the beautiful felines. Charlie keeps telling me I should make more Cat related lenses - what I think he means is more lenses about him :-) Great lens and have just added one with some pictures of him (to keep him quiet!) Had to laugh when I saw the catchpa word - which was dog related! Great job, we do all love our cats! I added a couple to your plexo of cat lenses and I'm off to lensroll this to them! Great lensography! I don't have a kitty lens to add, but I'll enjoy looking through those already here. My two kitties are no longer with me, but I'm happy they both lived good lives till the age of 18, despite one being diabetic and the other having asthma. My basset hound loves cats! I appreciate them as well. At least they do not slobber or stink like a hound! Enjoyed our visit and we'll be back soon. I have 6 cats in my home and I see I have some reading to do from other cat lovers!! I added some of my lenses - thanks.